The following year, Sophie and her brother were arrested for treason and interrogated for information about their collaborators. This debut novel recounts the lives of Sophie and her friends and highlights their brave stand against fascism in Nazi Germany. 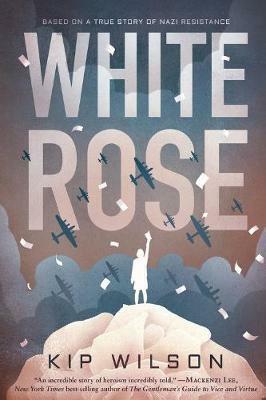 "White Rose is a resonant testament to courage. In a time of horrific brutality, young people found a nonviolent way to resist. Told in the form of poetry, the story of their hopes is honored and brought back to life, still relevant today, when regimes that spread hatred are once again thriving, and words are our most powerful defensive weapon." - Margarita Engle, author of Newbery Honoree The Surrender Tree and 2017-2019 Young People's Poet Laureate. Kip Wilson is the Poetry Editor of the Young Adult Review Network and has a Ph.D. in German Literature. In 2017, she won the PEN/New England Susan P. Bloom Discovery Award, and her work has appeared in several children's literary magazines.